These rockin' maracas are just the right size for your baby's little hands to grasp and shake! 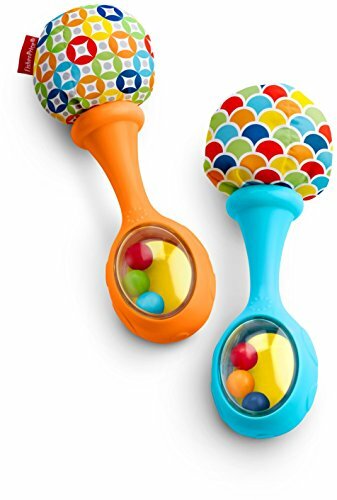 With soft, fabric pom-poms and colorful beads that make fun rattle sounds, these maracas will get your little one rattling and rocking to the beat in no time! Where development comes into play; Gross Motor: All that grasping and rattling gives your baby's gross motor skills a great workout! Sensory: The variety of colors, textures, and fun rattle sounds help stimulate your baby's developing senses.